News - Dylan: Times a-changin' in China? Dylan: Times a-changin' in China? Bob Dylan could be given the go-ahead to perform in China. China's Ministry of Culture has confirmed it is reviewing an application from Dylan to stage concerts in the country, a year after his planned gigs in Beijing and Shanghai were cancelled. An official said today that the application is pending and a decision would be posted on the ministry's official website. 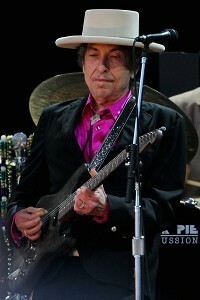 Dylan fan magazine ISIS recently reported on its website that the singer was to perform in Beijing on April 6 and Shanghai on April 8 as part of a forthcoming Asian tour. The dates were not listed on Dylan's official website, raising speculation of possible censorship problems.